Now a day’s people are attracted more towards compact and luxurious cars but they can accommodate only 4 person. For attracting customers mind, Ford has introduced a middle size sports utility vehicle Ford Ecosport Diesel. Ford have manufactured only one diesel model, 1.5 TDCi titanium. Its size lies between a sedan and a perfect SUV. Ford Ecosport Diesel engine car have displacement of 1498cc which develops a huge power of 91 PS with 3750 RPM. It provides a mileage of 20 Km per litre and has a fuel capacity of 52 L. People are getting attracted a lot towards this car. At present almost all people are dependent on transportation. You would not like to be late for your school, office etc. 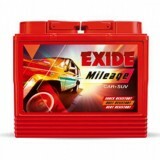 To avoid such situation you should install your car with best quality batteries. 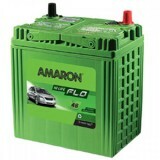 There are online stores such as http://www.everyonechoice.com/which help you to buy perfect battery for your Ford Ecosport Diesel car.Generally, a battery of capacity 44 Ah is used in Ford Ecosport Diesel car. Battery can be bought from our site at a reasonable price and are delivered to your home without any extra charge. 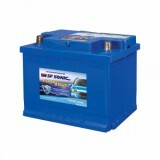 Ford Ecosport Diesel battery Price in Delhi, India can be checked here.